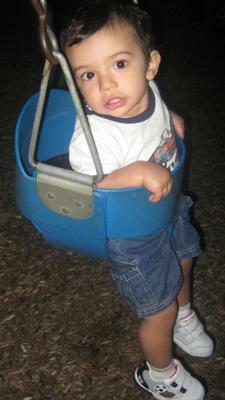 I have a beautiful son named kaiden who is turning 2 years old soon. I started noticing changes in him at 8-9 months old when he would not pick up anything with fingers, tried the gerber snack puffs and he would throw them off his tray. Hates handling slimy foods, fruits, noodles and spits out fruits when given to him. he has been seeing ECI early childhood intervention specialist since 15 months old. It has worked VERY WELL. Before ECI, he would only eat pureed baby food at 15 months old. He turned purple in the face and gagged from crying so hard at bathtime. I am proud to say he is eating tons of new foods, Noodles, veggies, soft meats, just no self feeding yet. And still has aversions to slimy fruits. I am a mom from the Philippines. This is the first time I have read about SPD. I have been wondering about my son from the time he turned 8 mos. At that time, I was again pregnant and having a hard time with my pregnancy. I thought Sam(my son) was just a picky eater and his refusal to learn things like colors, shapes and the alphabet was because he wants to take his time. But since giving birth 5 mos ago, I started taking my time with Sam. Observing and playing with him. And I can see problems already. I blame myself for not becoming pregnant so soon that I have not spent enough time with Sam. Experts and help in the Phils. is very limited. And I am losing hope. The only thing that is comforting to me is when I saw this site and the information and stories I read are similar to mine. I just hope that we would be able to help our children going through this.